With Gov. Mike Dunleavy, we’re still waiting for the other shoe to drop. Was his super-sized, $6,700 Alaska Permanent Fund dividend an empty campaign promise, with no real chance of happening? Political people of both parties think so, and Dunleavy left it out of his budget, but he could still fight for it and potentially win. Will his hired gun, the imported director of the Office of Management and Budget, really bring enough cuts to cover a $1.6 billion deficit in a $5.4 billion operating budget? Folks who know the budget say such big cuts aren’t possible, but with Dunleavy’s line-item veto, they literally are possible. And in the departments, where a Pebble Mine advocate will oversee the environment and the attorney general has sued the state over political and social issues, will the state become a crusader or will it regulate and govern? Dunleavy is unlike President Trump in critical ways — Dunleavy seems to be a mentally normal, morally upright adult — but as Alaska’s most conservative governor, and a populist, he could nationalize our politics into Trump-style partisanship. Some moves suggest that. But his style remains undefined. The strange campaign didn’t require him to answer many hard questions or even reveal his personality. His inauguration, unexpectedly held in a half-full Kotzebue gymnasium, went little noticed by a public preoccupied by the earthquake in Southcentral Alaska. 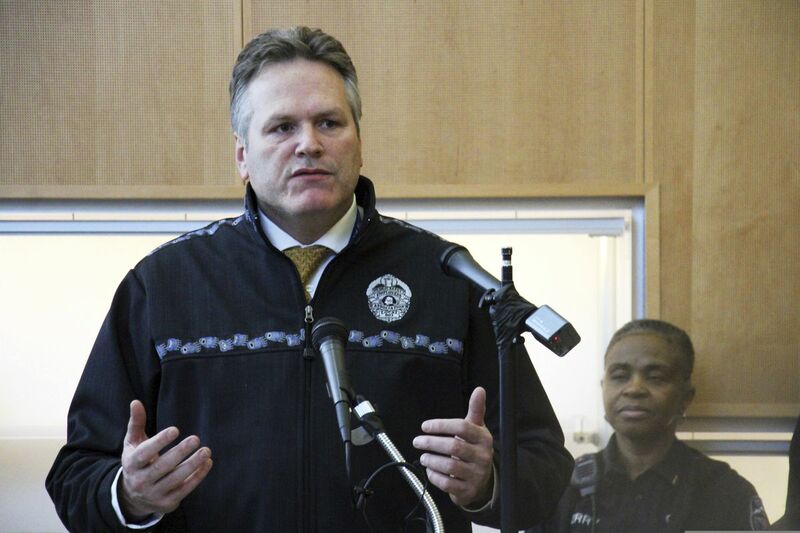 Dunleavy wounded himself with a demand for resignations from hundreds of non-political state employees, which caused two desperately needed doctors to leave Alaska Psychiatric Institute. That single email dramatically worsened the state’s mental health crisis. But his cabinet appointees, while predictably right-wing, have been as qualified as in most administrations. Attorney General Kevin Clarkson quickly rejected the resignations Dunleavy demanded of all rank-and-file attorneys, as originally reported by the Alaska Landmine blog (two had already been fired). As a candidate for a judgeship, Clarkson scored poorly, but attorneys seem to respect him. In 2016, Clarkson cross-examined me in federal court as he sought, on behalf of Republicans, to strike down a campaign finance law that was approved by an overwhelming majority of voters. He also challenged Anchorage’s equal rights protection of transgender people. Clarkson’s office said in an email he is recusing himself from all cases in which he was suing the state. Using the attorney general’s title in this way is inappropriate. His job is to defend the state’s laws and constitution as they exist. He should stay out of advocacy on political and social issues that will conflict with that role, even if they don’t directly affect pending cases. Similar issues affect Alaska’s new top environmental enforcer. Jason Brune’s previous jobs were developing natural resources for a Native corporation, representing Pebble Mine in public and government relations, and advocating for oil, mining and logging for 10 years with the Resource Development Council. Now he is Commissioner of Environmental Conservation. Brune said he has sold his stock in oil, gas and mining companies and quit all his boards. I don’t doubt his ethics. “I want to be held accountable. I’m confident I can be objective and listen to all sides,” he said. But Brune as the top environmental cop will further polarize resource issues. You can’t spend a career fighting to advance projects such as Pebble and then claim you will be an impartial judge of them. Even if you are impartial, no one will believe it. Many Alaskans think oil and mining companies should be able to do anything they want, but even resource extremists could benefit from a credible environmental process. Greens fight so hard, and slow down projects, because they don’t trust the system. Why should they when those running it are advocates? The Alaska Legislature, although majority Republican, will limit Dunleavy. The State House remains unorganized and will probably end up with a coalition that would not approve extreme actions. Anti-union laws such as those passed by Wisconsin’s Scott Walker have little chance here. Unions have friends in both parties. With the election defeat of Senate President Pete Kelly, R-North Pole, who was among the Legislature’s most conservative members, a more moderate Republican leadership is in charge there, including Finance Committee co-chairs who are unlikely to agree to a super-sized dividend. Co-chair Natasha Von Imhof, R-Anchorage, said she supports the structured Permanent Fund draw approved by the last Legislature and Gov. Bill Walker. Dunleavy’s proposal cannot fit within that plan. Von Imhof said the super dividend is not mathematically sustainable. Von Imhof prefers to looks for many small cuts to improve government efficiency rather than focus on a big number that would require draconian changes, as Dunleavy has in the past. What happens next is up to Dunleavy and how hard he hits. The voters said, “show me the money,” in the election. That’s probably enough to get the Legislature to approve the full statutory dividend of about $3,000, even though it will blow up the deficit and cannot be continued long without enormous cuts, taxes, or overdrawing from the Permanent Fund. Dunleavy also promised an additional $3,700, representing the amount the dividend was reduced the last three years. But while his veto can cut the budget, but he can’t appropriate money without the Legislature. He could let his promise die, blaming the Legislature and declining oil and stock prices, and hope four years is long enough for many Alaskans to forget why they voted for him. Or he could use his public voice and his veto pen to force a super dividend through the Legislature. Privately, many legislators know a $6,700 dividend would speed Alaska’s long-term decline. But they might go along under political threat. Like the rest of us, they are waiting for the other shoe to drop.